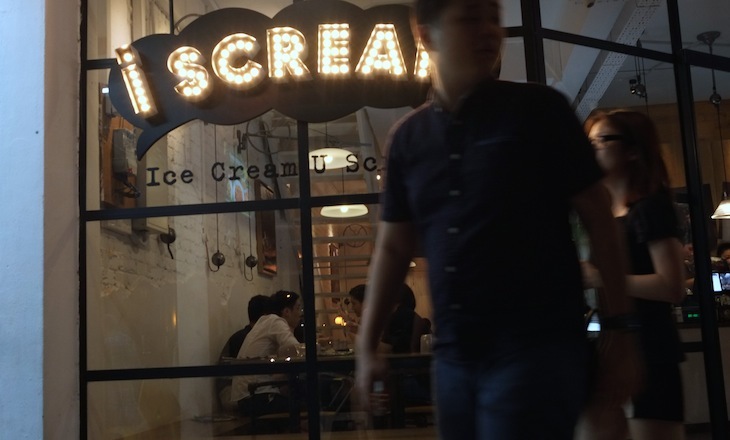 i scream, the soulful place again . Pei Jhu K.
Had my dinner at Bedok North Blk 511 Market and Food Centre with cheeky tonight. This place seems to be a gem that I'd love to be back again for its chicken wings and salted egg york prawns! 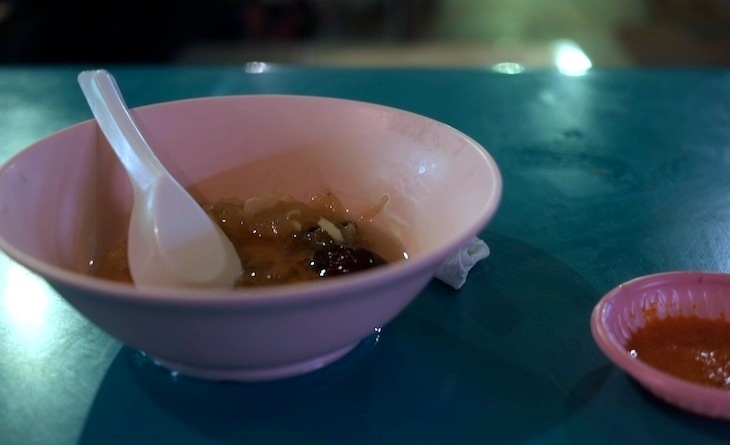 Considerably a courageous attempt for pig organ soup. I used to love and couldn't had enough of pig stomach with pepper soup only throughout my life. Subsequent bowl should be less terrifying, laugh. We went to I Scream again after the first visit [ my previous post ] in June as well. They serve and charge based on weight basis where generally a small cup are priced at $3.50 each. The options available are shown clearly on the menu, such as waffle, ice cream, desserts and beers. Limited options but at varying combination with their ice cream that makes it more interesting. So what are hidden around the cafe counter? A few busy, yet very friend cafe crews. They will even take initiative to let us have a try before we actually order for more exotic flavours. A tip us container along with self explanatory cup sizes. A revolving display of ice cream in varying flavours. And a variety of toppings. Our pick for the night: wowberries and tangy basil. I think they match my postcards just well ain't them? And yeah, I will be hosting a giveaway soon thanks to Printit! Stay tuned alright peeps. Whereas for waffle wise, we have decided to go for Shouting Stout Choco Waffle with two scoops of Avocado and Vanilla Bean. Bittersweet, like match made in heaven. Blk 89 Bedok North Ave 4 #01-109, Singapore 460089.